There is a World Cup 2010 event gonna be held in Barz!ng Kuching (Travillion area) on 11 June 2010. 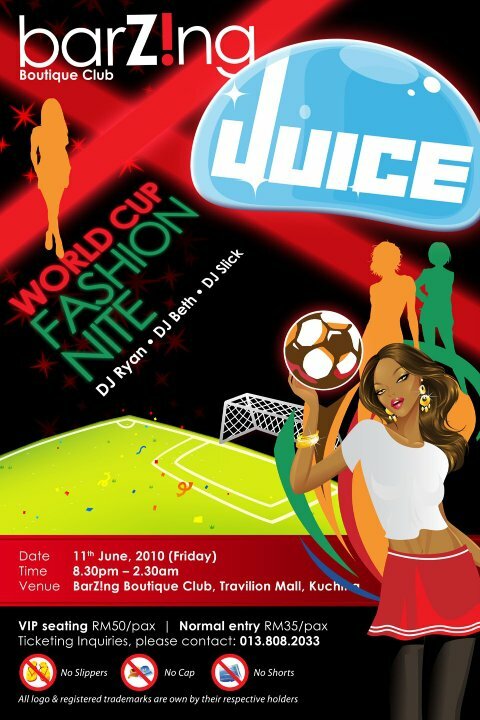 There is fashion show for you in conjunction of the World Cup. Please take a look of the details at the flyers attached! !